Bugle beads really lend themselves to bold, geometric shapes, and originally I was going with something triangular, but it evolved into this diamond, almost art deco style shape. 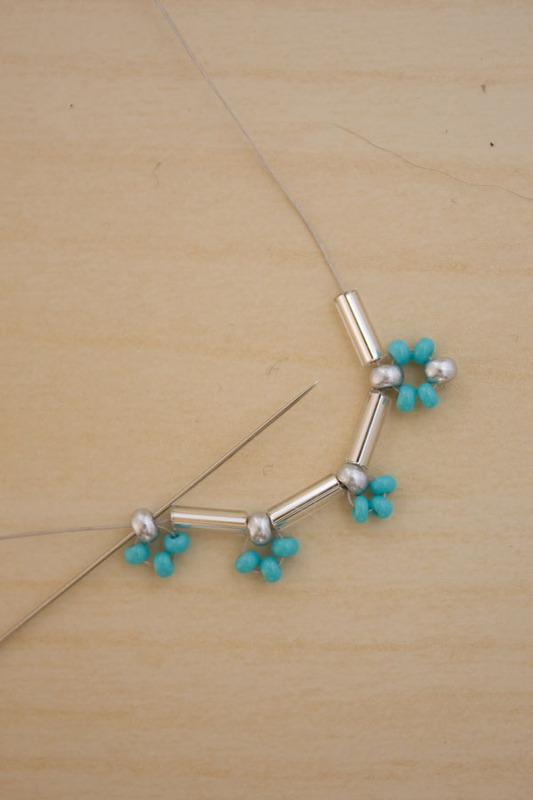 You can substitute the size 10 seed beads with size 11, but they do produce a squarer shape. 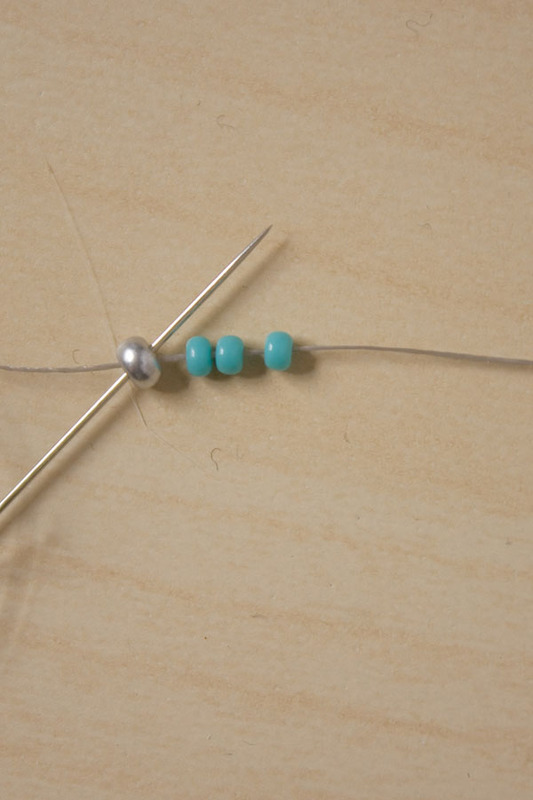 *if using Nymo or similar use a size 10 beading needle. If using Supplemax no needle is required. 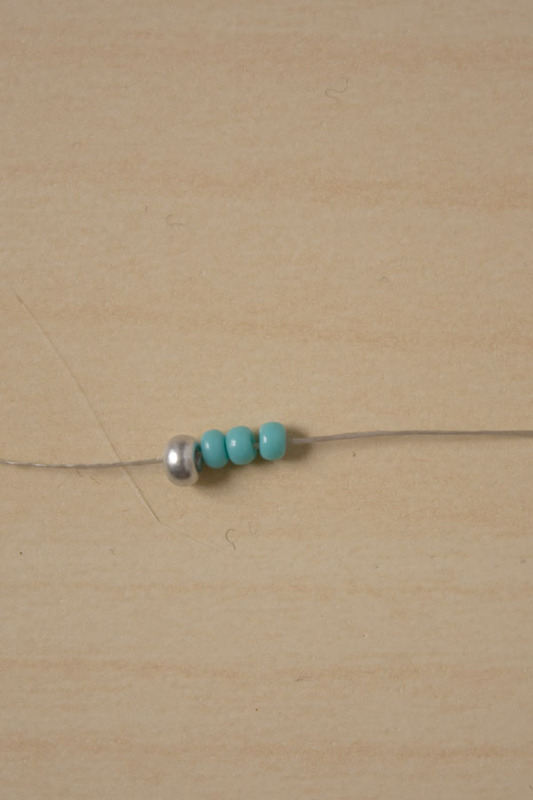 1.Cut a comfortable length of beading thread, and thread on 1 x size 8 and 3 x size 10 beads, leaving a 15cm tail. 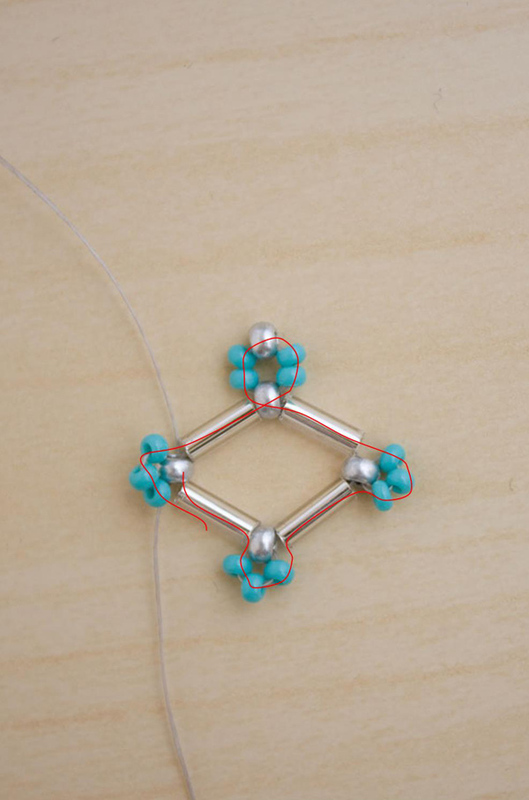 4.Repeat the bead pattern twice more, so 1 x size 8 and 3 x size 10 beads go back through the size 8 then add on a bugle. 5.This time is slightly different; add on 1 x size 8, 2 x size 10, 1 x size 8 and 2 x size 10. Go back through the 1st size 8 and add a bugle bead. 7.Take the thread around the shape again, in a figure of eight; going through the bugles and size 10 seed beads around the bottom, then through the size 8 at the op, around the . This pushes the larger size 8s into the middle and creates a smoother, more diamond like shape. 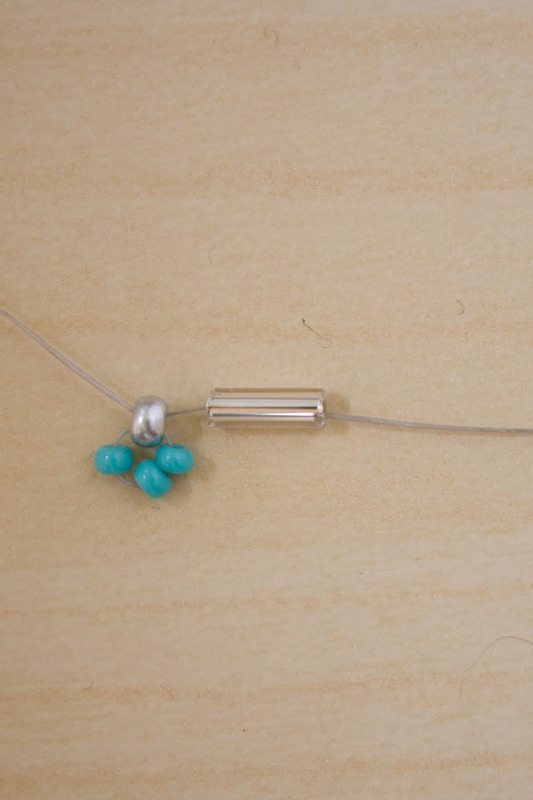 8.Tie off both ends of thread with a couple of knots, take the tail through the next bead and cut off the excess. 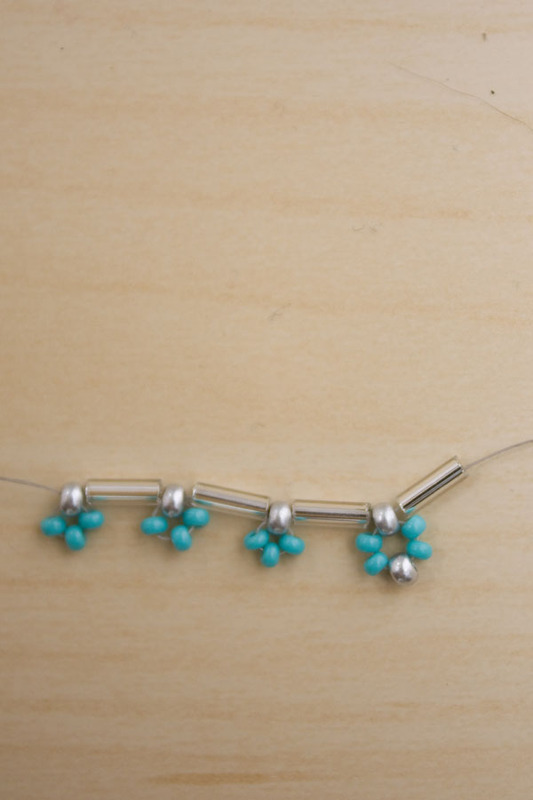 9.Open a jump ring and use it to link together the top size 8 seed bead and the loop on the fishhook. Repeat all steps for the other earring! If you have a go at making your own bugle bead earrings, or have any questions feel free to comment below or message me on Twitter, Instagram or Facebook! And if you really like my tutorials, I’d love for you to sign up to my monthly email! Happy Making! Lovely design and you nicely explained. Good! 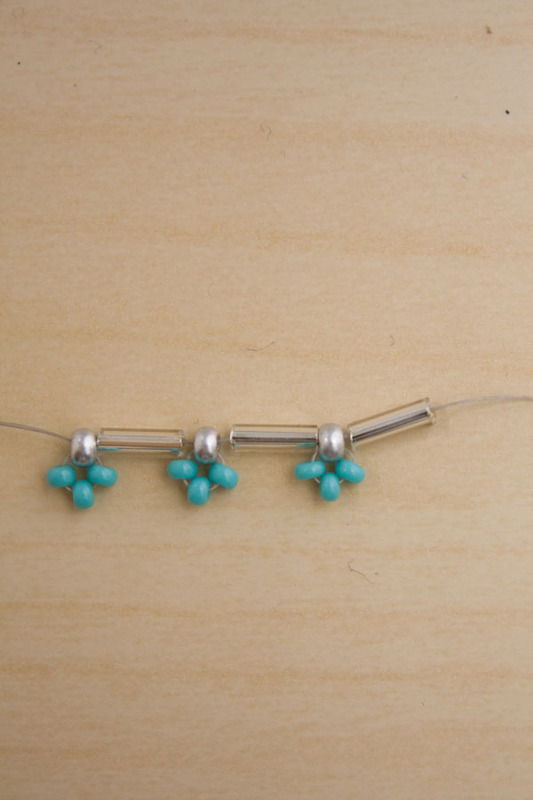 I just finished making these with red beads (love the turquoise but have a lot of it). They are pretty and you were right, they are easy to make. Can’t wait to make these they are beautiful!! Since I basically have only strung beads by hand(including the smallest seed bead) I’m not that familiar with beading needles. 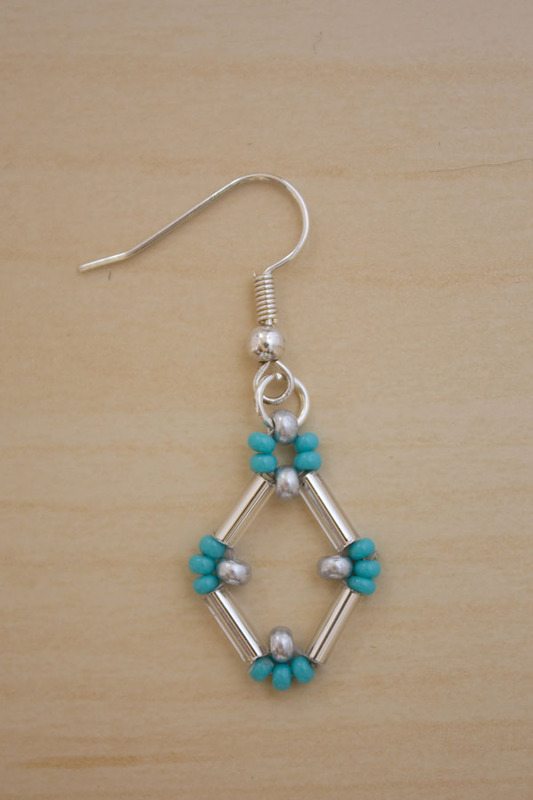 Could I just do this pair of earrings by hand? Thank you for your time. What is an 8 by 7 bugle bead??? I thought they were long and thin, not chunky. I like these earrings.